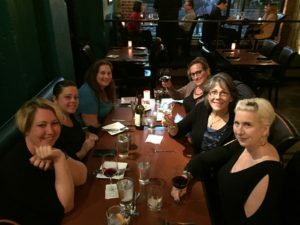 Why join a writing community like To Live & Write? I mean, what’s in it for you, right? There are as many different answers as there are members, and they’re all pretty cool. Check out the testimonials for a few clues. But seriously, what could you possibly get out of it? Regardless of where you are on your writing journey, I bet there’s a perk or two that works for you. 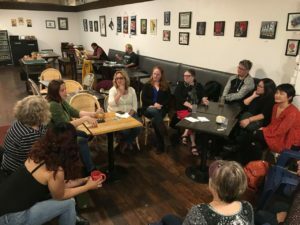 Our community runs the gamut from new writers who are exploring self-expression in journals and personal blogs, all the way up to accomplished authors who have been honing their craft and publishing their work for decades. Most of us fall somewhere in the middle. What we all have in common is the joy of supporting each other as we grow, meet our goals, and achieve our personal definitions of success. We are an extraordinary community of writers, each of us with a soft spot for other writers and the desire to provide old-fashioned moral support in a modern world. If you’re worried about fitting in, don’t; we’ll make room. Choose your membership level. Are you a Friend, Cohort, or Accomplice?